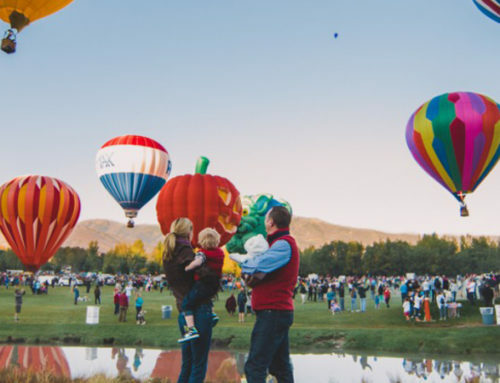 Park City’s top property management company has been making memories since the last millennium. Sit down with us and hear the All Seasons Resort Lodging story from the lips of the man who started it all, 18 years ago. 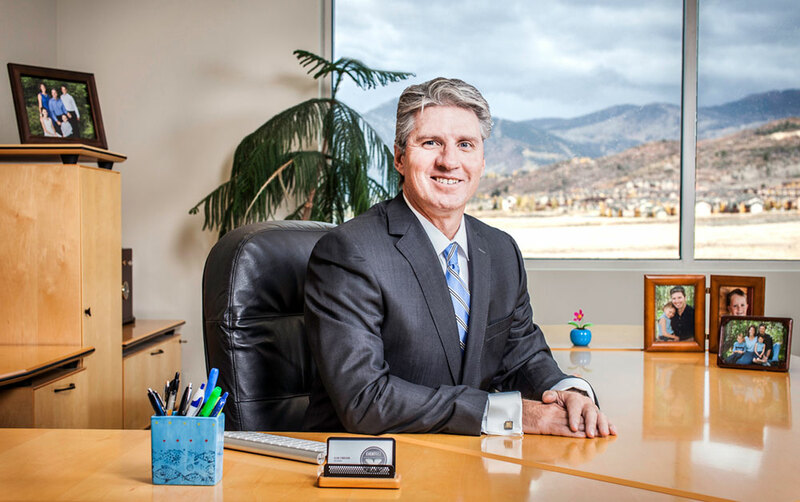 We ask Alan Finnegan, president of All Seasons Resort Lodging, all about the history, philosophy, and future of his company. 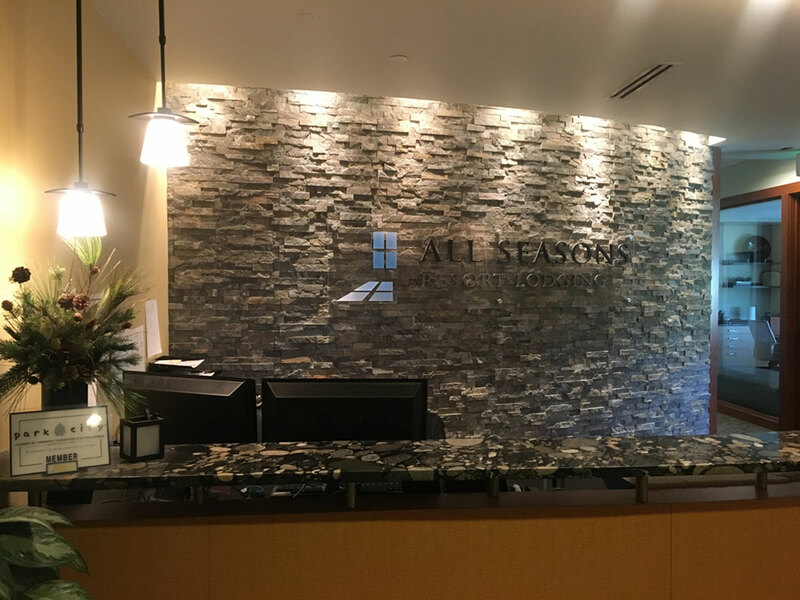 All Seasons Resort Lodging [ASRL]: How did you start All Seasons Resort Lodging? What were the circumstances that led to the founding of the company? Alan: The parent company I worked for prior to starting All Seasons was called Village Resorts; and that company was acquired by Premier Resorts. Then Premier Resorts was being sold on the market. They were trying to sell Premier Resorts to a third party like Merrill Lynch, and things like that. The board of directors wanted to know what was going to happen to me if that happened, and I didn’t know. They wanted to know if they could put me in business, or if I would be interested in doing this on my own, and I said I would. So that’s how I started All Seasons. Alan: I felt like all of the pieces of my career had led to this point. Though the risks were large, I felt like the pieces of the puzzle wouldn’t have fallen into this place if it wasn’t meant to be. The opportunity seemed much greater than the risk. I never thought of failure; I never thought of “what if” or “this might not work”. It never entered my mind that this might not work. It seemed like it was the time for me to go off on my own. ASRL: Everybody’s got to start somewhere. Where did All Seasons Resort Lodging start? Where was your first property? What did you have? Alan: We had Silver King Hotel, we had Silver Cliff Lodge, and All Seasons Condominiums. We had three properties. We had ninety rooms between the three properties, and probably twenty employees. ASRL: And where did it go from there? How did things start to grow? Alan: At that point, the board of directors that put me in business wanted me to stay as a general manager until 2002. 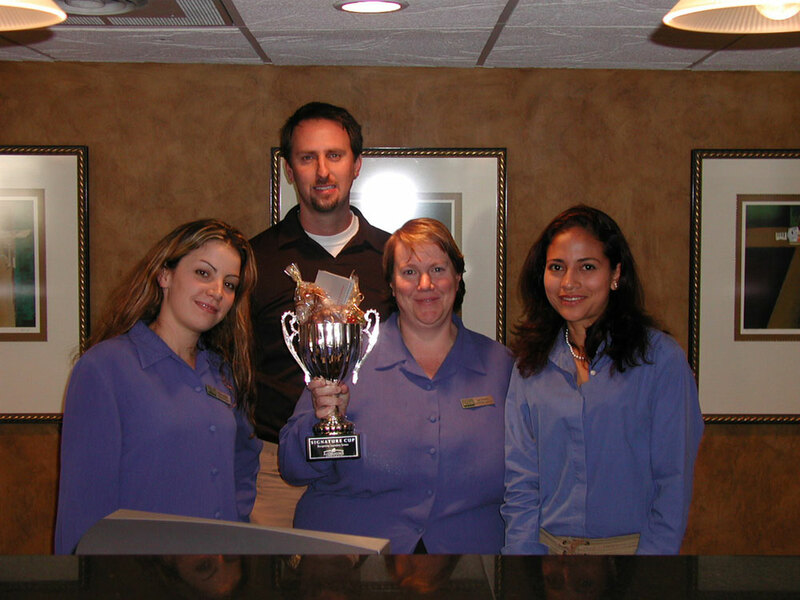 We started in 1999—June 1st of 1999—when we took over Silver King Hotel, Silver Cliff, and All Seasons. And I had to stay for three years, through 2002, before they would allow me to hire another general manager to manage Silver King and allow me to grow. During that process, I had an opportunity to purchase the management contract of Carriage House Condominiums, which we did in the fall of 2002. In the fall of 2001, I had the opportunity to take over Crestview, which was a brand new condominium project that was just being built, and PowderWood. I purchased that management contract from Donna Van Buren, Greater Park City Properties, and we opened the Crestview with a stay by 302 secret service guys on January 17 for the 2002 Olympics. Then in the fall of 2002, I picked up Carriage House and we continued to grow from there. I always had the vision of wanting to be outside of the state of Utah. I’d worked for a company called Village Resorts that managed 16 properties around the United States and Hawaii, resort destinations, and I wanted to model my company after that. But I didn’t know how to get outside Park City. I hired Tom Overson, who was with Marriott. He had worked in multi-property destinations. I felt like he would allow us and show us how to be able to manage from afar with a corporate location, and then having properties located outside the state. We brought him in, and then I pursued purchasing management companies. In 2006, we purchased a San Diego property management company. Then, in January 2007, I believe we purchased Santa Fe. But I recognized that the relationships I would build with my owners, and if I educated them on what was going on in the marketplace, and they participated in that process, they would then invest back into their property to maintain it at a higher level. They would also then understand what I was trying to accomplish with the consumer market: guests coming to stay, their expectations, how they book travel, etc. We became a partnership. I recognized that if I took care of their asset, I communicated proactively with my owners to educate them on how the property management company worked, and about hoteliers and guests, and how they purchased their lodging, and then had high rental returns, then the circle was complete. And that was the basis of my business plan, really. Those three things would separate me from my competitors. ASRL: That’s the core value of All Seasons Resort Lodging? Alan: It is. That was the core value as it started and I actually still have that original piece of paper. ASRL: Has that changed over the years at all, or has that stayed pretty constant? Alan: It’s the same! It’s constant. I think that we’ve refined our language a little bit, to more clearly define how that works in our company, but it’s still the basis of what we do. We take care of an owner’s asset because they’re not here, we try to proactively communicate with them, and generate the highest rental returns that we can out of any of our competitors. 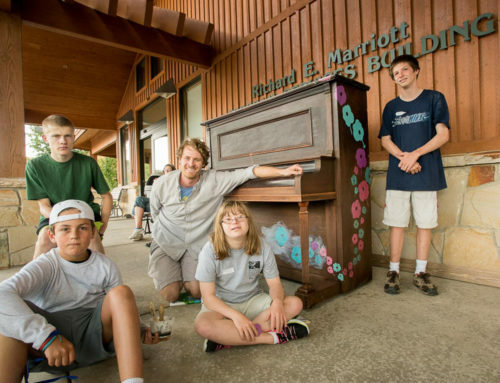 ASRL: What is the single feature of All Seasons Resort Lodging that you’re the proudest of? Alan: Hmm. What am I the proudest of? I’m the proudest of how we have continued to adapt as a company to our owner’s expectations, our consumer’s expectations and needs, and our employees. ASRL: Speaking of change, what’s the change that has surprised you the most over the course of this endeavor. What’s the thing that you never saw coming? Alan: Oh, the internet! Definitely the internet. That’s the funny part. When I started, we used print media, fulfillment pieces, little cards people would fill out and send back to us saying that they wanted information on our hotels. We would send them a brochure. The internet became the hub of all communication. I never saw that coming, or else I would have purchased parkcity.com. I would have purchased a lot of URLs. I had no idea about how that was all going to work in the very beginning. However, we did jump on it pretty quickly, and we really bought into understanding that a consumer was now starting to book online. We started with 1% of bookings being online, and then 5% of bookings being online, and it’s grown today to be almost 100% of our bookings taking place online. So yeah, the internet and how consumers booking habits have evolved and changed. ASRL: In all of that change, was there ever a really close call? Did it ever look like it was going to fall apart? Alan: It did in 2008 and 2009. The economic downturn was very, very hard for us. We certainly were caught up in that economic downturn where consumer spending, discretionary income was much smaller. The first thing to go is travel. The last thing to come back is travel. During that period of time, we had to make some significant changes. I chose to not lay off people to get through that period of time. We all took pay cuts in the company, from the president down to a bellman. We all took pay cuts. Then I had to reach out to the private sector to secure enough capital to get me through that slow period, because, at that point, the banks had been burned, or had lost money with a number of property management companies going out of business. They were not willing to lend me money to get through that period, I was able to secure some funding from the private sector and get us through that. ASRL: How did that go for the owners during that period? Alan: You know, I think the owners were understanding. They were going through the same experience in their personal lives. It was something that happened to the whole country. We were able to, again, proactively communicate with them what we were doing to try and minimize the impact to rental income during this process. We were very successful in that. 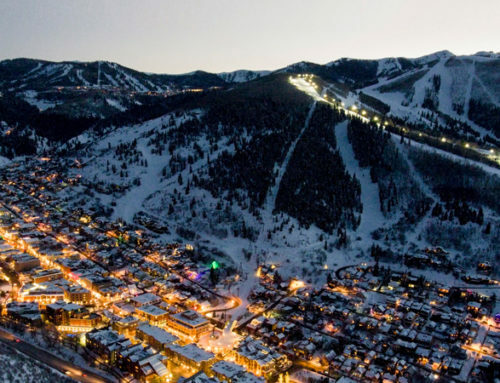 We knew we were successful by using a competitive set analysis, a market share analysis, that the city of Park City puts out. And during those two, three, four years of ’09, ’10, ’11, we could see that our market share was greater than our competitors. Our revenues were higher than our competitors, though they were still a down. We might have been down 16%, the market was down 30%. We were able to communicate to our owners that we were doing a good job minimizing the impact. 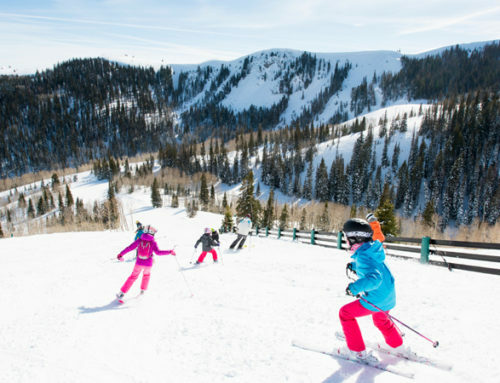 ASRL: Speaking of owners being understanding, if there was one thing that you wish that more owners could understand about All Seasons Resort Lodging, or one thing that is frequently misunderstood, how would you address that? Alan: I think that, because owners have had experiences with property management companies that were all about the money, and didn’t care about the owners or the guests, they’ve had bad experiences. If there was one thing that I would want to share with owners, it’s that, for us, it’s not about the money. I mean, certainly, we need to be profitable as a company to sustain our employees and run a successful business. But we’re not financially driven to make that happen. What we’re driven on by is customer service to our guests and our owners. We care about our owners. I want every owner to have a great experience with All Seasons Resort Lodging. And it’s really disappointing when we make mistakes that hurt our owners, or that they perceive that we aren’t doing as good a job as we could, because I want to be doing the best job. I want to be better than everybody else. And I know that’s not always about making the owners more money, though that’s really important. It’s about making the owners feel like they are special and we care about them. Because I do! That’s the bottom line. We do. We care about our owners, and we care about our guests. I want everybody to have a great experience with us. ASRL: That ties closely to the next question. What is the single most interesting part of property management to you as an individual? 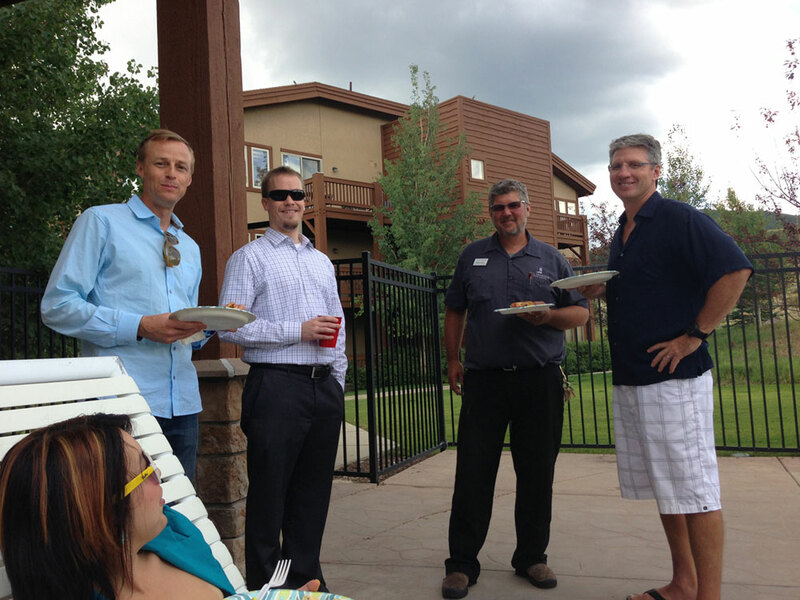 Alan: The single most interesting part to me about being a property manager is how it’s always changing. Nothing stays the same. Just when we figure out how to be really effective in the current marketplace, something changes. And if that’s in a consumer trend, technology—certainly—or how the consumer uses technology, or anything else, that changes how we have to do our business. It’s exciting where nothing stays the same! We have to always be adapting, changing, and making decisions that ensure we’re in business for years to come. That takes a lot of foresight, luck, and good decision making. ASRL: Where do you see the company being in five years? Alan: I have faith that in five years we will be right where we need to be. I don’t try to force where I believe we should be in five years. I think the owners and the consumers drive where we’re going to be five years from now. As long as we’re open-minded—willing to adapt and change—I think we’ll still be providing that exceptional service, meeting guest’s expectations, and growing our owner base. Because we’re doing it differently. We’re doing it with integrity, we’re doing it with honesty, and we make mistakes, and, when we make mistakes, I’ve always shared with all of our managers that we own our mistakes. We share that we made a mistake, and then we fix it. But we try not to hide our mistakes and say, “we didn’t do this.” We own it, and then we change so that we don’t ever do that again. Mistakes happen when you’ve done something twice. There’s a process where we learn a lesson, when something goes differently than we expected or wanted it to. We have an opportunity to improve on that. If it happens to us a second time, it’s a mistake. But, ideally, we put in place procedures that ensure we’ve adapted to that new information, or that new expectation from the owners and the guests. These are people that allow us to have them come back again and again, and trust us with their property. It’s a big deal. I mean, these properties today are worth anywhere from $500,000 to a million plus dollars, and they’re not here. They need somebody they can trust to take care of their property; and we want to be that company. ASRL: What do you think the future holds for property management in general? Alan: I think it’s changing right now. I think that we’re in a really interesting time, when, because of Airbnb, because of VRBO, HomeAway, and FlipKey, now owners can manage their own units, and have access to the consumer in a way that they’ve never had before. Similarly, we actually have more access, because we have relationships with the online travel agencies. We have access to more consumers because we understand keyword phrases. 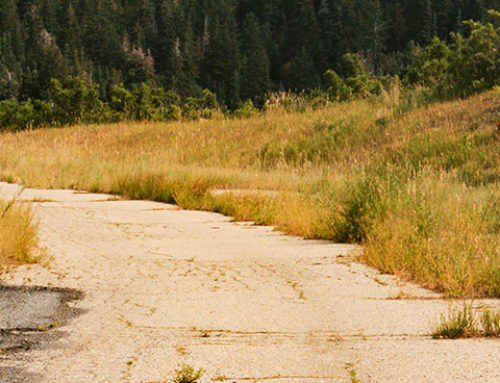 We know when they’re searching for lodging, we understand how they’re searching for lodging. We’re able to put our company in that position to be recognized by a consumer when they come to look for lodging. The average owner today is not as interested in services for the consumer, which concerns me. We provide a higher level of service for our consumers by having bell service, or by having van service, or by having daily housekeeping. And a lot of those services are being neglected or eliminated so they can give an owner a higher percentage of that income than we have done in the past; because we’re providing additional service. And I think, in the long term, that’s impacting the guest experience. I don’t know how that’s going to shake out.